Stories you'll never forget--just try--from literature's favourite transgressive author. Representing work that spans several years, Make Something Up is a compilation of 21 stories and one novella (some previously published, some not) that will disturb and delight. The absurdity of both life and death are on full display; in "Zombies," the best and brightest of a high school prep school become tragically addicted to the latest drug craze: electric shocks from cardiac defibrillators. In "Knock, Knock," a son hopes to tell one last off-colour joke to a father in his final moments, while in "Tunnel of Love," a massage therapist runs the curious practice of providing 'relief' to dying clients. And in "Excursion," fans will be thrilled to find to see a side of Tyler Durden never seen before in a precusor story to Fight Club. 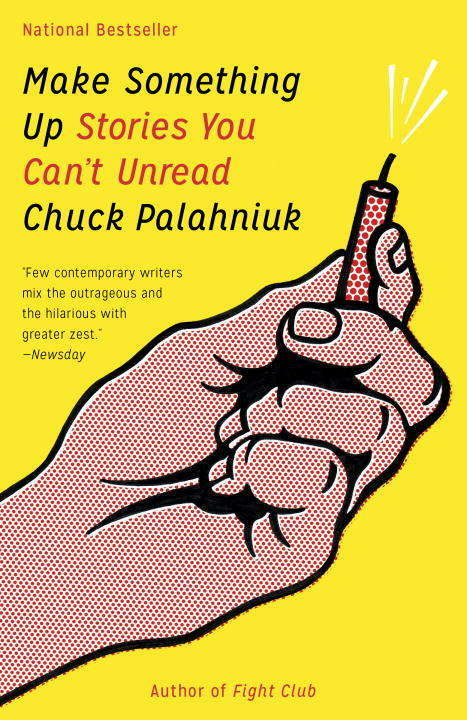 Funny, caustic, bizarre, poignant; these stories represent everything readers have come to love and expect from Chuck Palahniuk.